All dogs tend to lose old and damaged hair by shedding. Even though shedding is a normal process, the excess of it can make your house dirty and also can be a cause of many allergies. Large Breed Dogs generally lose a heavy amount of hair. 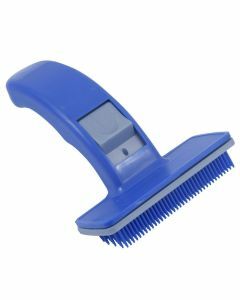 We at PetsWorld, offer you Deshedding Tools of the finest quality for reducing the hair fall in your dogs. 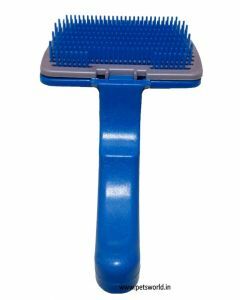 Dog shedding brush helps to keep your pet cooler during summers by removing all the excessive hairs. 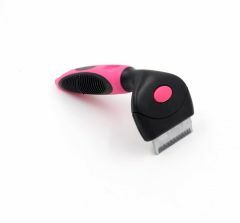 It also reduces the overall grooming time for your dogs by keeping the hairs short and clean. 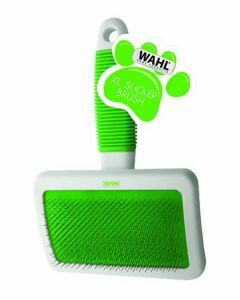 Regular brushing also thoroughly distribute the natural oil in your dog’s skin keeping the skin healthy and radiant. 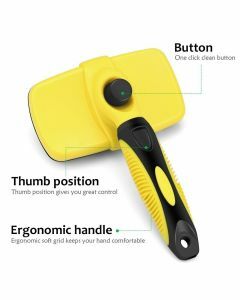 At PetsWorld, we stock Deshedding Tools like Self Cleaning Dog Slicker, Dog Rake, Stylopet and other grooming brush for removing the loose, dead undercoat of your pet. 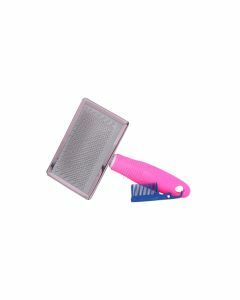 It works for short, medium as well as long hair. 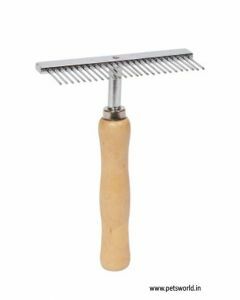 All the brushes available on PetsWorld have fine bristles for eliminating dirt and debris from the coat of your dog. 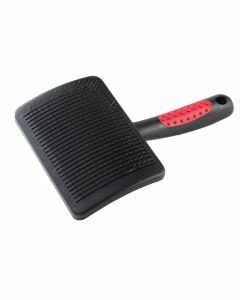 Self Clean Slicker Brush helps in tackling matted hair and tangled hair. 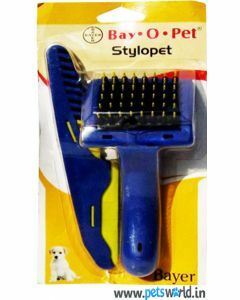 With these high-quality de-shedding tools, we at PetsWorld assure you hassle-free grooming of your dog.